Anthony John Group’s $590 million Southpoint development has transacted over $117 million in three months in its final stage release, The Apartments. The developments's last residential tower is now more than 90% sold. Located on the corner of Grey and Vulture Streets, The Apartments comprises 196 one, two, three and four bedroom apartments priced from $389,000 to the $3.6 million penthouse secured early on by a local investor. Building amenities include a rooftop pool and private residents lounge, a podium level gymnasium, relaxation lawn, BBQ terrace and private dining facilities. Southpoint is currently Brisbane’s largest transit oriented development (TOD). 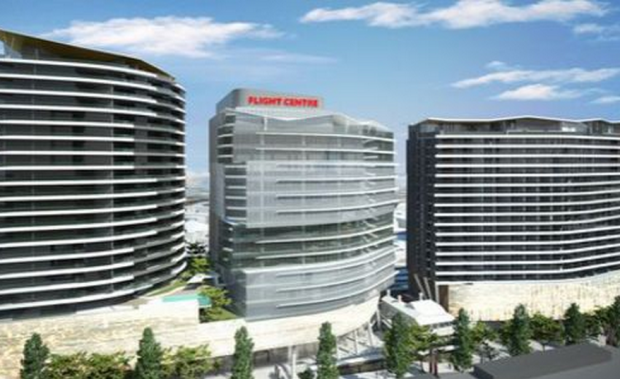 When complete it will feature three towers incorporating 413 residential apartments, approximately 23,000 sqm of commercial office space (100% leased by Flight Centre), 4,500sqm of retail (including Woolworths) and 142 boutique luxury hotel suites in the city’s second Emporium Hotel. Group CEO Shane Bulloch said the development’s success has been substantially driven by a number of factors, principally the market understanding the clear benefits a mixed-use development of this nature delivers, but also the nature of the location and environment it is set in. “The considered mix of residential, office, hotel and retail, along with the upgrade to the South Bank Rail Station, front door connections to bus, bicycle and CityCat and pedestrian links embodies smart, mixed-use development," Mr Bulloch said. "This is essential to making Southpoint a vibrant node in its own right. "“We are seeing an intensifying demand for superior quality residential options close to employment hubs, transport and lifestyle amenity. "Mr Bulloch said a broad spectrum of buyers had bought into the final stage, from local owner-occupiers, first home buyers and downsizers to interstate and offshore investors looking to capitalise on the location’s strong growth and price competitiveness compared to Sydney and Melbourne markets. “The South Brisbane catchment is a recognised investor hot spot. All indicators point to demand only accelerating, with continued investment in infrastructure, growth in employment as well as resident population," Mr Bulloch said. “Achieving this result, within a little over three months, is remarkable. "Southpoint is being constructed in separate stages. The office tower will be complete in late 2016 with the two residential towers and hotel to follow in mid-late 2017. Southpoint’s red box sales display in South Bank has now closed its doors. A new sales display is now open by appointment at the Emporium Hotel in the Fortitude Valley.